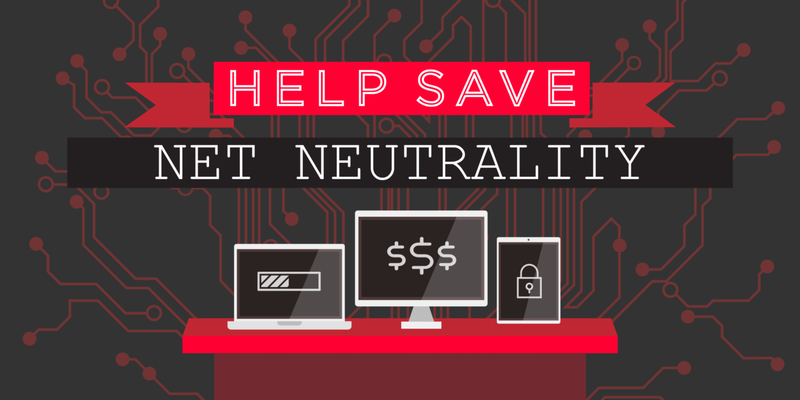 In just two days, the Federal Communications Commission (FCC) will vote on a proposal that would fatally undermine net neutrality in the US. This would be a disaster for the internet. Net neutrality — the principle that internet service providers (ISPs) treat all traffic equally — underpins the internet as we know it today. It has allowed millions of Americans to build businesses, connect with friends and family, launch social movements, and share their ideas freely. When I invented the World Wide Web in 1989, I didn’t have to pay a fee, or ask anyone for permission to make it available over the internet. All I had to do was write a new app and plug my computer into the net. If US net neutrality rules are repealed, future innovators will have to first negotiate with each ISP to get their new product onto an internet package. That means no more permissionless space for innovation. ISPs will have the power to decide which websites you can access and at what speed each will load. In other words, they’ll be able to decide which companies succeed online, which voices are heard — and which are silenced. Net neutrality separates the connectivity market from the content market. As separate markets, both have flourished. But if the US allows the internet to become like the old cable TV model — with the same firms controlling the cables and the content — competition in both markets will suffer. As other countries maintain separate and fiercely competitive markets, America will decline as the world’s chief digital innovator. In the early years of the internet, ISPs didn’t have the technical capacity to discriminate traffic online. Their computers were not fast enough and so net neutrality was a fact of life. Over time, as technology developed and the value of content flowing through the network increased, ISPs developed the ability and the incentives to discriminate internet traffic to get a cut of the spoils. We need rules to keep ISPs focused on what they do best: making access cheaper and faster. Historically, under both Republican and Democratic leadership, the FCC has worked to ensure net neutrality principles were respected, sending a message to ISPs that they could not engage in blocking content, throttling site speed, or charging for content to be prioritised. In 2015, these net neutrality principles were formalised via strong new rules to ensure the internet remained free and open. But now the new FCC leadership is trying to demolish these protections. The FCC’s proposal, if voted through on December 14, would open the door for ISPs to act on short-term incentives and upend the internet as we know it. Net neutrality protections are vital to protect the future of competition and innovation in the US; they uphold our right to express ourselves freely and to choose what we read online and who we communicate with. These are American values and fundamental to democracy. Without net neutrality, ISPs would be allowed to exploit their power as gatekeepers, closing the door to the creativity and innovation that make the internet great. I want an internet where content businesses grow according to their quality, not their ability to pay to ride in the fast lane. I want an internet where ideas spread because they’re inspiring, not because they chime with the views of telecoms executives. I want an internet where consumers decide what succeeds online, and where ISPs focus on providing the best connectivity. If that’s the internet you want — act now. Not tomorrow, not next week. Now. Over the past few months, I have traveled to Washington, DC to meet with the FCC leadership and almost a dozen members of Congress from both parties. Some, more than others, understood the importance of preserving net neutrality. But they all understand how many votes they need to stay in office. Now is the time to speak up for freedom and fairness. Our best hope is to make sure our representatives in Congress know that we will hold them to account on this issue, so they call upon FCC Chairman Ajit Pai to suspend Thursday’s vote. Contact your representatives and tell them to save net neutrality.